If you’re like Chelsey, you get nosy about people’s reading routines, their habits, and maybe even what their bookshelves look like. 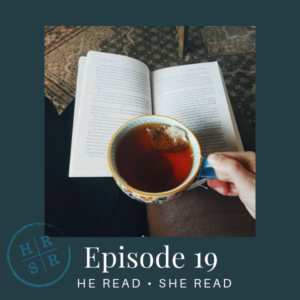 On today’s episode, we’re answering listener questions about our reading routines, including where and when we get our best reading done. We also offer tips on how to read more, plus some book recommendations. We would love to know about your reading habits! Visit us on Instagram and leave a comment on the Episode 19 post.